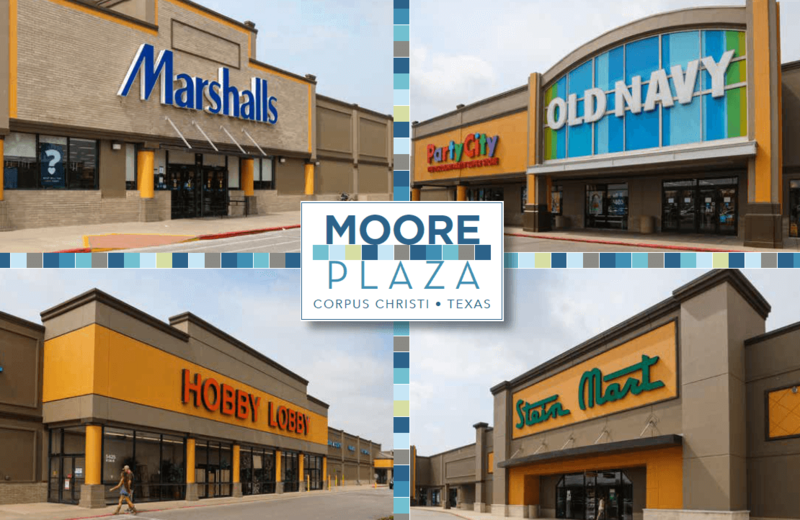 Dallas, Texas, January 31, 2018 ̶ Rainier Realty Investments LP, today announced the acquisition of a 380,592-square-foot Class A super-regional retail power center in Corpus Christi, Texas, known as Moore Plaza. Moore Plaza is Rainier’s fourth retail power center investment over the last six months which together have a combined value of more than $192 million. Dallas-based Metropolitan Capital Advisors arranged financing for the acquisition. The 99 percent occupied property includes a diverse roster of national retailers including Hobby Lobby, Marshalls, Stein Mart, Office Depot/Office Max, World Market, Old Navy, Half Price Books, and Party City. Institutional investor CIL2 LLC, managed by Continuum Investments Limited, participated in the acquisition with Rainier. Rainier and Continuum have established a joint venture to acquire high-quality, market-dominant retail properties throughout the central and southern United States. Continuum Investments has institutional support from South Africa. “We believe Moore Plaza is a great addition to our retail portfolio. The Class A Center is very well established within the premier retail corridor of Corpus Christi and has enjoyed high occupancy for many years. Demand by retailers for this location remains very high.” said Rainier President, Tim Nichols. Rainier Realty Investments LP, is an affiliate of The Rainier Companies headquartered in Dallas, Texas. Founded in 2003, Rainier has over $1 billion of investment assets under management for individual, corporate and institutional investment partners. In addition to its retail acquisition strategy, Rainier targets Texas value-add opportunities and preferred equity investments with high quality commercial real estate operators.